We've already talked about lab-grown meat before and the challenge of making it resemble real meat in both taste and texture. 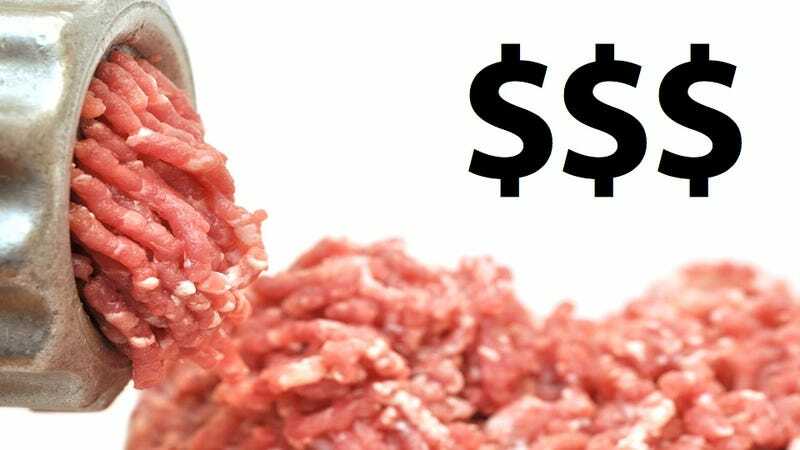 But once that feat is accomplished, it will cost $345,000 to produce a single, artificially-made hamburger. Speaking to Reuters, Mark Post, a Dutch research expert in the field, believes he can pull this off sooner than later. "The first one will be a proof of concept, just to show it's possible," Post told Reuters in a telephone interview from his Maastricht lab. "I believe I can do this in the coming year." "This first one will be grown in an academic lab, by highly trained academic staff," he said. "It's hand-made and it's time and labor-intensive, that's why it's so expensive to produce." Not to mention a little unappetizing. Since Post's in-vitro meat contains no blood, it lacks color. At the moment, it looks a bit like the flesh of scallops, he says.